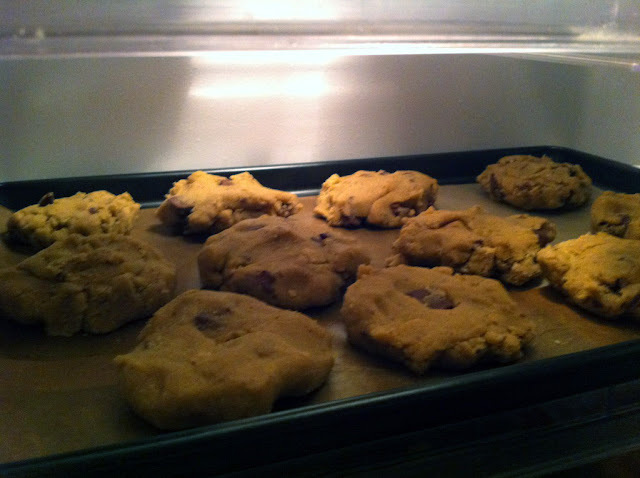 ...a tray of the Ultimate Chocolate Chip Cookies sitting in the fridge ready to go in the oven. The boyfriend had certainly been busy! I'm always a little bit annoyed when he bakes something, because he is invariable better than me at it (see this post about his famous blondies!) These cookies were amazing, they came out jumbo-sized, really gooey in the middle, and crispy round the edges, with huge chunks of chocolate. 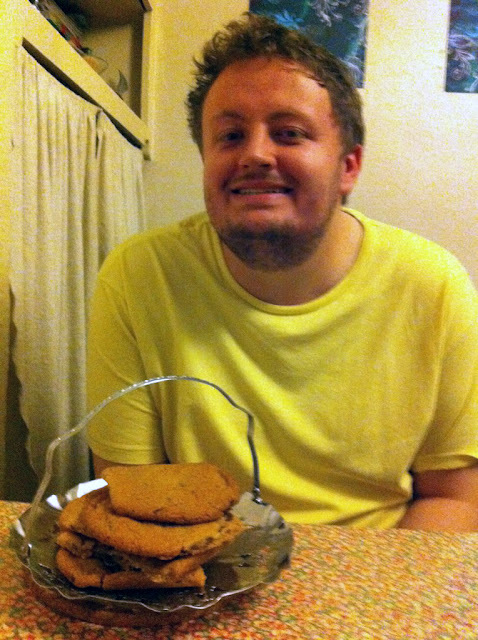 Here he is with the finished product, looking suitably pleased with himself! I you would like to be this smug, you can get the recipe here, courtesy of Martha Stewart. I'm a very lucky girl! Yum Yum! Does the recipe tell you to make them that big? I'll have to check it out and maybe try it this weekend. Hope you have a wonderful weekend and the weather is nice where you are. It's always the best when the boy surprises you with food love!